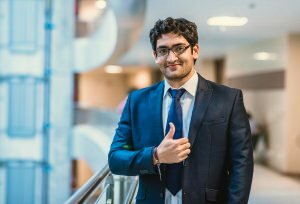 Companies That Pay For MBA: Getting an MBA degree helps you to get a higher salary as well as pursue you to your passions. As per the data from PayScale shows that the employees having 10 or more years of experience are earning an average annual amount of $98,252. The basic reason for paying a higher amount that the employers want to gain new and relevant skills to apply to their jobs. Of course, employers want to retain good talent for their business. Deciding to pursue an MBA is a big decision, but with the help of flexible programs and employer tuition assistance, it becomes easy. Finding a right company you will definitely get the benefit of tuition fee assistance. The companies offer 75 to 100 percent assistance for an MBA degree. This benefit comes in the form of a reimbursement on successful degree completion or even on course grades. Here is the list of 10 highly reputable companies in the USA that place a high value on their tuition assistance benefits, provides tuition reimbursement for the educational cost of an MBA degree. Banking Company requires employees with MBAs, paying the employees some of the top salaries in the industry. It provides its employees with annual tuition assistance of up to $5,250 for an advanced degree course. The consulting company leads the market in tuition reimbursement programs for MBA courses. They are also on the top list for paying the highest salaries for MBA alumni. Deloitte offers up to $10,000 per annum in MBA reimbursement. The company needs two years of work with the company with a commitment to work for the company after graduation in order to get the tuition assistance benefit. The companies in the technology sector, are high on the list of firms which are willing to pay MBA expenses. Apple tops the list of companies in the technology sector offers leading tuition assistance benefits, the firms providing tuition reimbursement of up to $ 5000 per annum. The technology sector is included in the list when it comes to an MBA. Intel has leading tuition reimbursement advantage for its employees. The educational cost is 100% reimbursable which includes tuition and textbooks. Google tops in paying the MBA tuition reimbursement to employees. As it reimburses $12000 per year. Walmart has a partnership with American Public University. So the company offers its employees and their family members a 15% saving on tuition fee and book grants for the school’s online degree program. An employee who works full-time for one year is eligible for this offer. The company offers $5,250 annually as tuition assistance. An employee can get the reimbursement up to $25,000 for a graduate school course. In the specialty defense technology, sector MBA degree has a great value. Raytheon is one of the top defense technology companies in the world. It is a leader in reimbursement of the tuition fee. The company offers 100% of employee’s college tuition for a graduate school. Automotive sector also values an MBA degree, Ford is one of the leading companies in valuing tuition and reimbursement assistance. The company offers a reimbursement of $5,000 annually for an MBA. Energy sector companies are also in the race, Chevron is a market leader in tuition assistance reimbursement benefits. The company provides up to 75% of the tuition reimbursement for its employees. Overall, getting an MBA is value for various reasons. Apart from the reimbursement, you will receive a good return on investment in the form of top-level salary.